One of my dearest and oldest friends had a birthday in October and this is the card I made for her. I thought the Crafty Secrets "Seasons of Friendship" stamp was the perfect image to use because of her fall birthday and the images celebrate friendship. These images are a challenge to color because they are so tiny and so detailed. It's very difficult not to have the Copic Markers bleed a bit when the images are so small. I think next time I use this set I will try pencils. I colored the females dress in purple because that is my friend's favorite color. 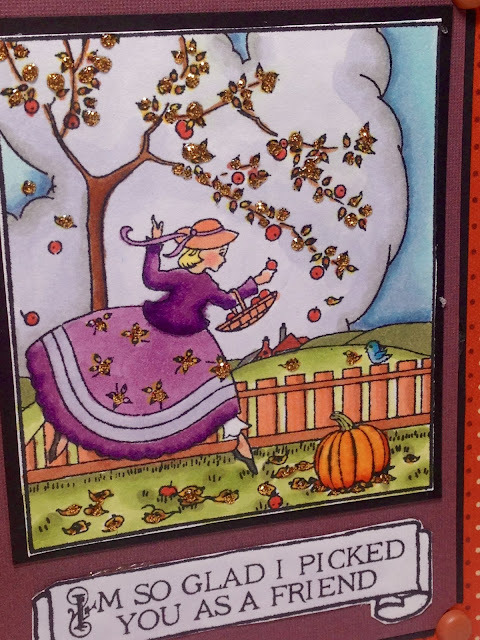 And when I gave her the card, she noticed the purple dress right away too! I stamped the sentiment from the set separately, and hand cut it out. I put "Golden Rod" Stickles on all the leaves in the image and on her dress. I also added some corner brads for more embellishment. The fall paper is from DCWV "The Pumpkin Patch" and "Indian Summer". So cute! I just love the sparkly leaves on the tree. 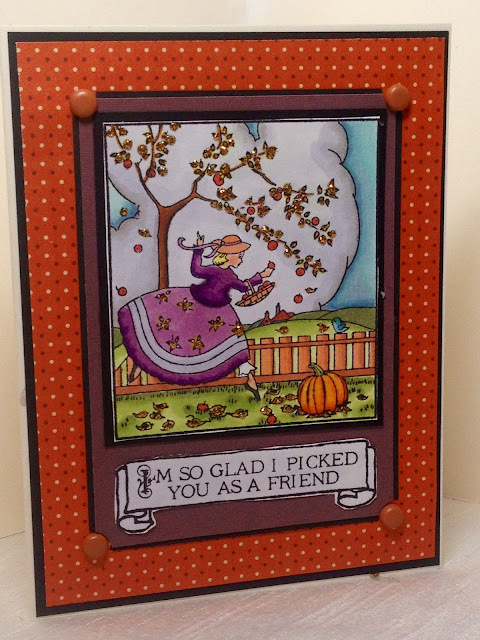 I am sure your friend will adore this card! Thanks Carrie, she loved it! Your lucky friend! To be able to call YOU her friend and to be given such a lovely card. I tried to get a look at that gold on the leaves but can't much about it...Golden Rod stickles? Are they self-adhesive dots of gold? Love the pop they provide. Thanks Leslie! Golden Rod Stickles is just Glitter Glue. Golden Rod is the name of the color. Stickles is the name of the brand of glue. 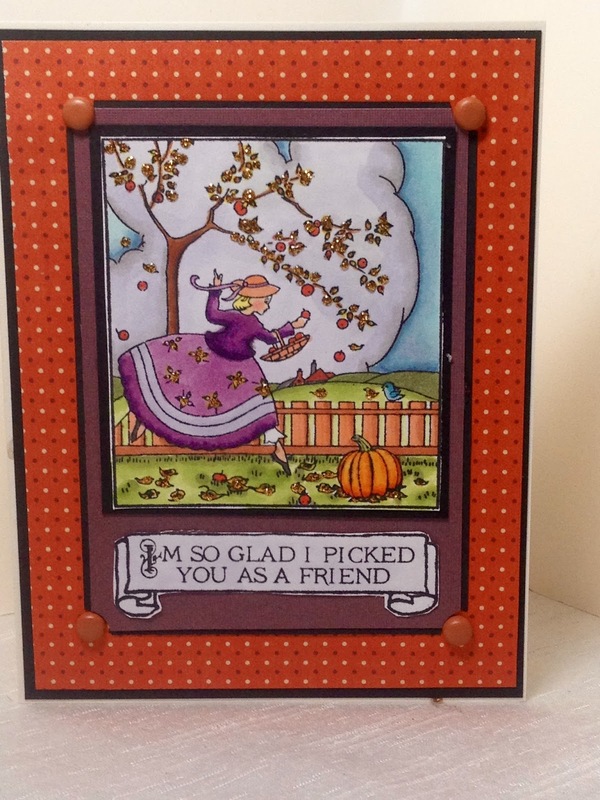 What a great friendship birthday card, love the sentiment and image combo.